Five strong & vigorous kittens born several days overdue! Skiboots Belleville - Seal Point Mitted female. 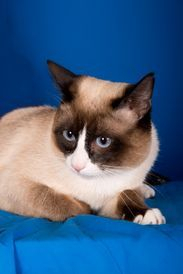 Skiboots Brockville - Seal Colour Point male. Skiboots Chesterville - Blue Colour Point male. Skiboots Milton - Seal Colour Point Male. Skiboots Lincoln - Blue Colour Point male. 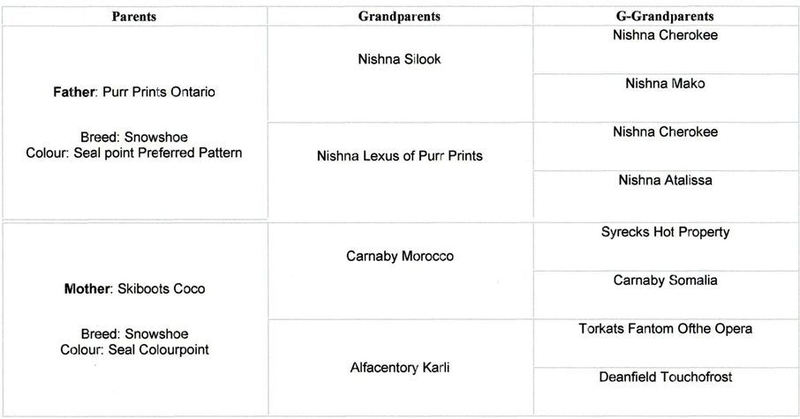 Pedigree of 26th September 2013 litter.